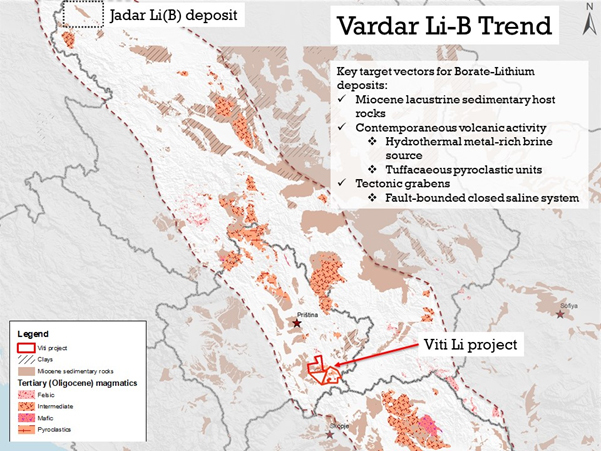 Based on Mineral Resource estimates, Rio Tinto’s Jadar Lithium-Borate deposit in NW Serbia has the potential to supply >10% of the current global lithium demand making this one of the most significant discoveries in the last decade. 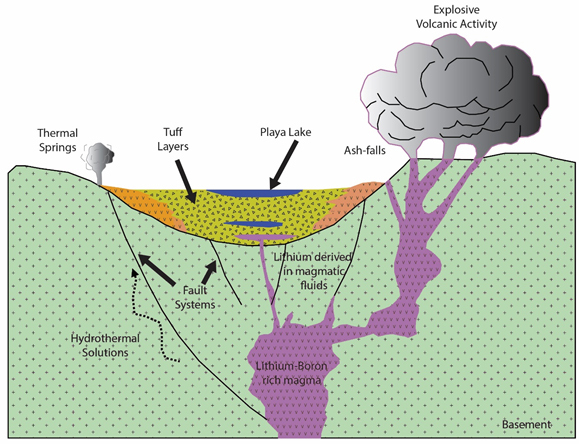 The Jadar deposit is hosted in a tectonically controlled Miocene sub-basin which includes lacustrine and volcanic tuff units with similar sub-basin settings occurring in selected areas along the Vardar trend. 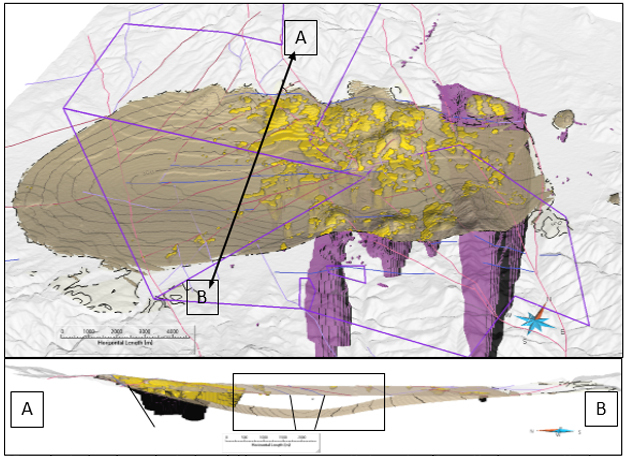 3D models created using a combination of historical basin depths with mapping and geophysical inversion results demonstrate an excellent comparison with deposit models for hydrothermal Borates and Li. 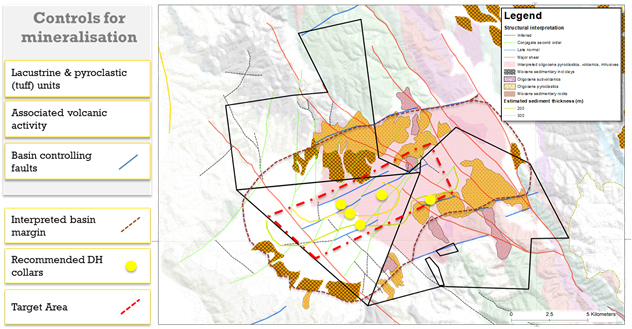 Results have been used to prioritise sites for stratigraphic drill testing.